Just 25 examples of the Fittipaldi EF7 Vision Gran Turismo will be built. GENEVA -- Brazilian racing legend Emerson Fittipaldi chose Italian design and German engineering to create a sports-car company that bears his name. Fittipaldi, who won the Formula One championship in 1972 and 1974, as well as the Indianapolis 500 in 1989 and 1993, said he built a dream team to make his dream of a supercar bearing his name into reality. 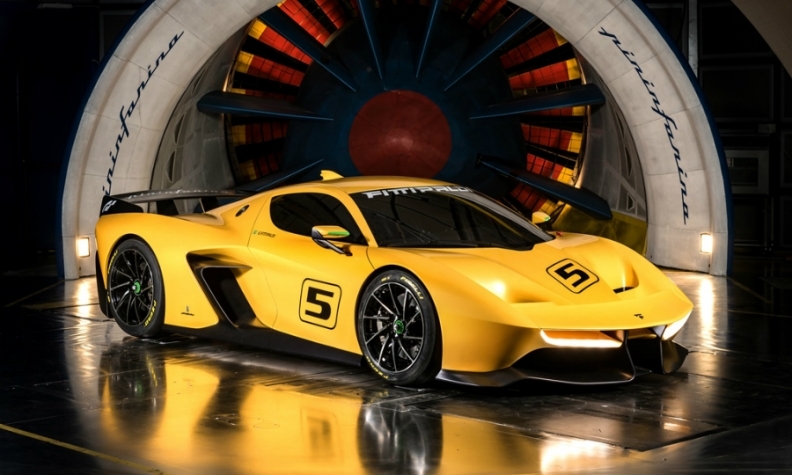 Fittipaldi chose Italian design specialist Pininfarina to pen the Fittipaldi EF7 Vision Gran Turismo that debuted in Geneva on Tuesday. German race car specialist HWA engineered the track-only EF7 and is ready to build a limited run of 25 units of the model. Stuttgart-based HWA was founded in 1998 as a spin-off from Mercedes-Benz AMG, which was established in 1967 by Hans Werner Aufrecht. HWA, that takes the founder initials as the company name, was established as a Mercedes Benz customization specialist and still works on the AMG-Mercedes cars that race in the German Touring Car Championship (DTM). The EF7's body and monocoque chassis are built from carbon fiber, part of Fittipaldi's dream to have a power-to-weight ratio of 1.66 kg per hp. The two-seater will weigh about 1,000kg, with power supplied by an HWA-designed and built 4.8-liter V-8 normally aspirated engine making over 600hp at 9,000 rpm. Fittipaldi said that the main difference between a single-seat race car and a supercar is not much in its power, but in weight. "A lighter car not only accelerates faster, but also needs less space to brake and is nimbler and more responsive in corners," Fittipaldi said. In assigning the project, the 1,000 kg was a "mission impossible" target that his dream team accomplished, Fittipaldi said. The name of the car, EF7, is an homage to Emerson Fittipaldi's seven sons, the 70-year old Brazilian racing legend said.